However, there is one big consequence that ended being quite the nice surprise. Change in default license & evaluation key distribution: default license upon install is "NSX for vShield Endpoint", which enables use of NSX for deploying and managing vShield Endpoint for anti-virus offload capability only. Evaluation license keys can be requested through VMware sales. What this means is huge. If you had vShield in your organization, the upgrade path is NSX. 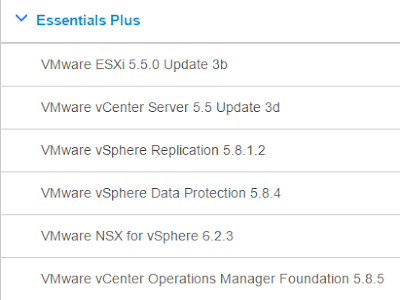 Since you had access to vShield before, you get access to NSX now. With this, the "floodgates" have opened and much more people have access to the NSX bits. You still need a real license to play with all the features, but at least the NSX OVA is in your hands and you can start deploying it and learning. One can expect to see more NSX content out there, and also, I would think a lot of content and community presentations for people upgrading from vShield to this new NSX level. 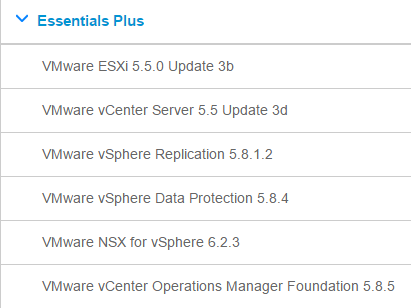 I think VMware has released this at a good time and hopefully soon I'll add my grain of salt and help everyone that came from being a vSphere admin in learning NSX. Gabriel Maciel is one of the smartest NSX engineers that VMware has and part of a "Dream Team" of Latin American NSX experts such as Elver Sena, Raymundo Escobar and Stalin Pena. Particularly for the VCAP6-NV Deploy, you will notice Gabriel is one of the exam contributors so heed any advice he gives out (without breaking NDA of course!). Apart from the Troubleshooting Guide mentioned in the blueprint, make sure to also study the Command Line Interface Reference manual! CLI is very important for both the exam and real life. Learn how to check common controller issues, such as lack of space, a wrong deployment network, or an exhausted IP pool! Don't erase a failed controller unless 1) your other two have majority 2) you've already opened a case with GSS and uploaded logs 3) all other options are exhausted. There is normally a bigger problem that is manifested as a problem in the controller, so that needs to be fixed first. Very important to understand the limits that transport zones represent. Make sure the correct clusters are members. This ties in with cross-vCenter NSX in Section 6. Take advantage of the GUI troubleshooting tools to check for Flows and Logs, but be comfortable with the CLI options as well. Most networking guys will be happy that there is a CLI option to check all firewall rules applied to an interface or load balancer details. For Section 7.3 search for "service" in the CLI Reference and learn and practice the commands in the mentioned HOL. Gabriel keeps a document with all his frequently used commands - he graciously shared it with us for all vBrownBag listeners. You can download this document here.